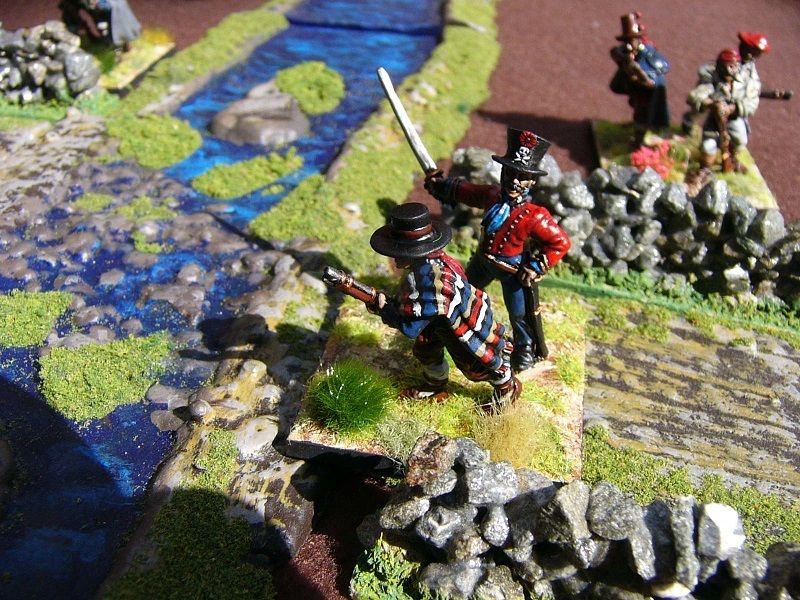 No Peninsular War game can really be complete without a small band of Spanish Guerrillas to harry the flanks of the French and disrupt their columns of march. 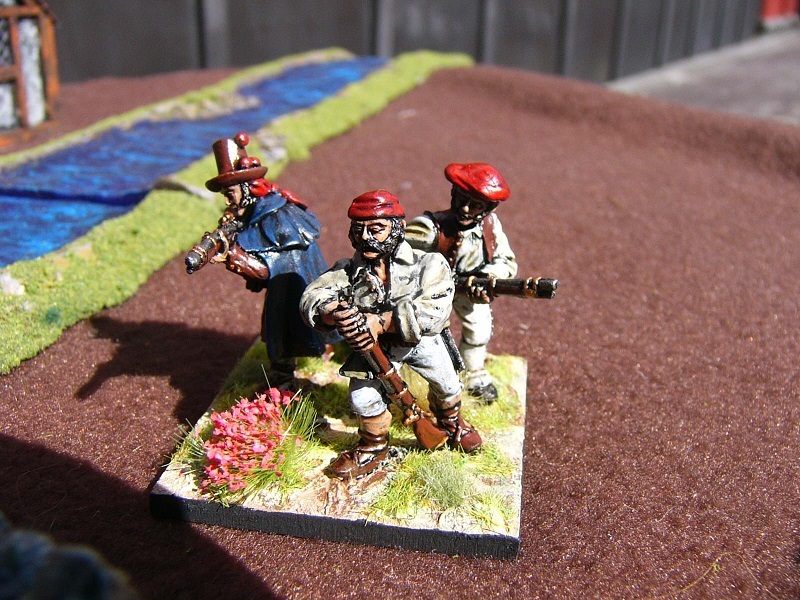 I have already painted up the Brigade Games Spanish guerrillas as a militia regiment so decided to use Front Rank for my first actual Guerrilla band. One thing that you can always be assured of when you buy Front Rank figures is that they are well cast, clean, take paint well and are damned well fed. These guys are obviously doing pretty well looting French supply wagons. This unit is just sixteen figures strong. I based them on 40x40mm laser-cut MDF bases. Bases are finished with Polyfilla, painted and flocked with the addition of some grass and flower tufts. They are mounted two to three to a base, to reflect their irregular and skirmish deployment. 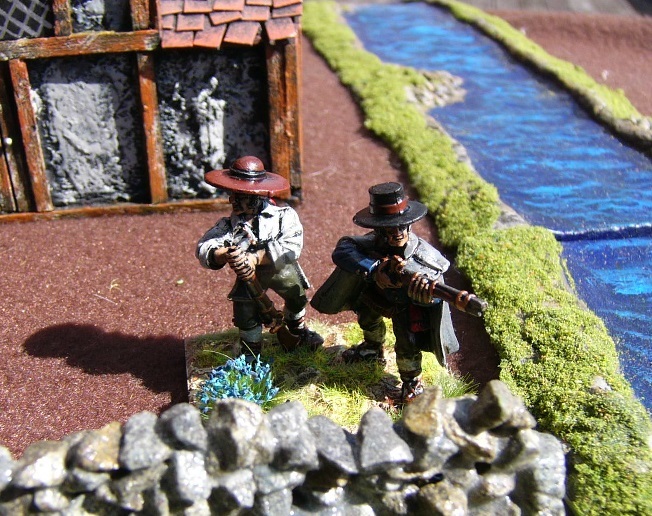 I am in the process of painting a couple of character figures who will be based separately for Sharpe Practice games. 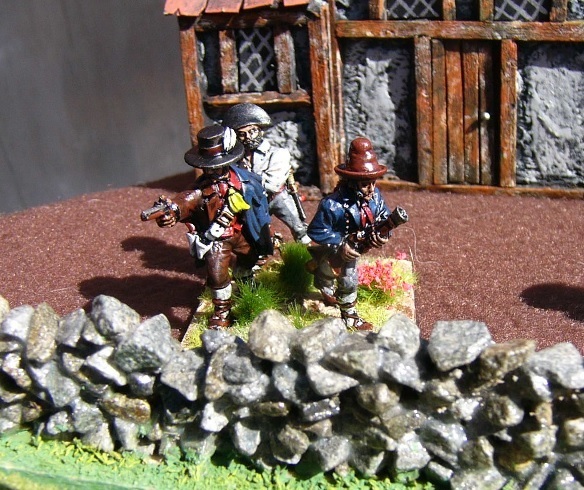 Here they are taking cover behind a wall to ambush some unsuspecting French. 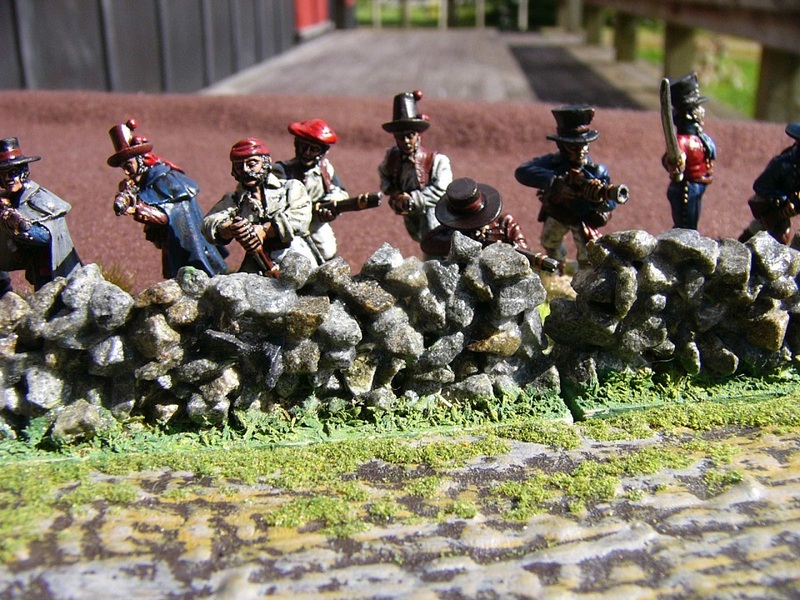 These Front Rank figures some with a variety of headgear – from berets and scarves to top hats. The figure of the man pointing a pistol wearing cape is probably my favourite figure amongst this group that I purchased. I also like this officer with his death’s head insignia on his top hat. 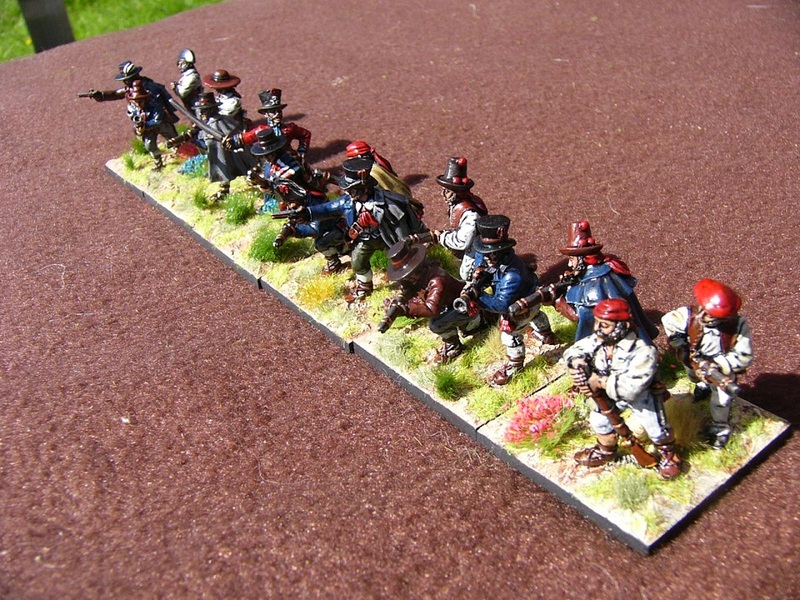 I am planning on one more irregular infantry unit – a Small unit of armed Spanish monks. 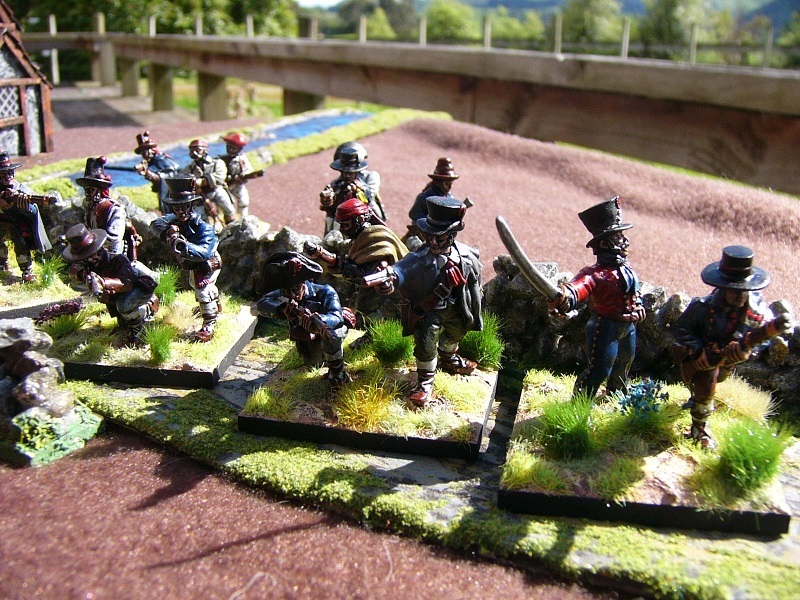 I already have four Perry miniatures left over and have just ordered some more from East Riding Miniatures to finish them off. Previous PostThe Rules with No Name: Bystander Event DeckNext PostFamily Gangs in my Old West Town, Pt 2: The Stones. Lovely stuff as usual, Brian. 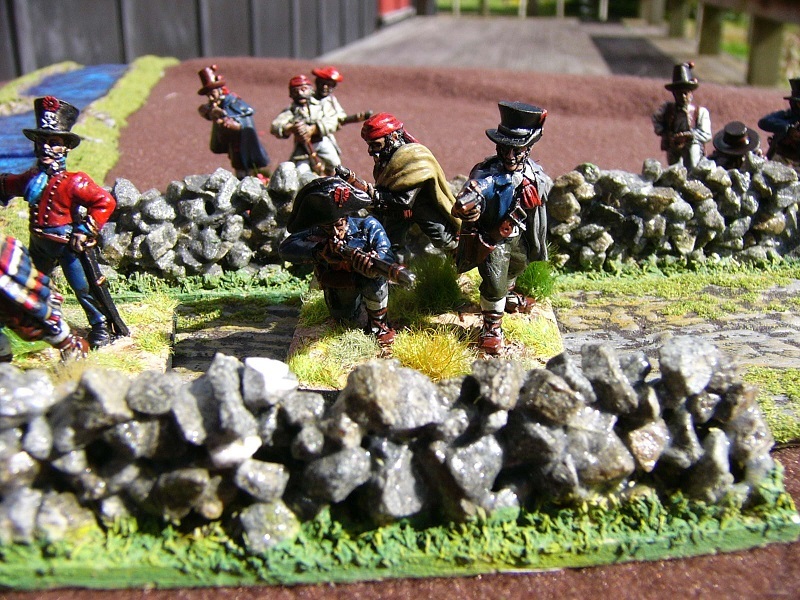 I especially like the blanket on the figure in the last photo.I am also planning on putting some on single bases when I finally get around to mine, with the same idea of playing a few Sharpe Practice games. A small unit of armed monks is also a great idea. I have to say that I really enjoyed painting these guys. If I didn’t already have so much to paint I wouldn’t mind doing another full unit of them. I love them! 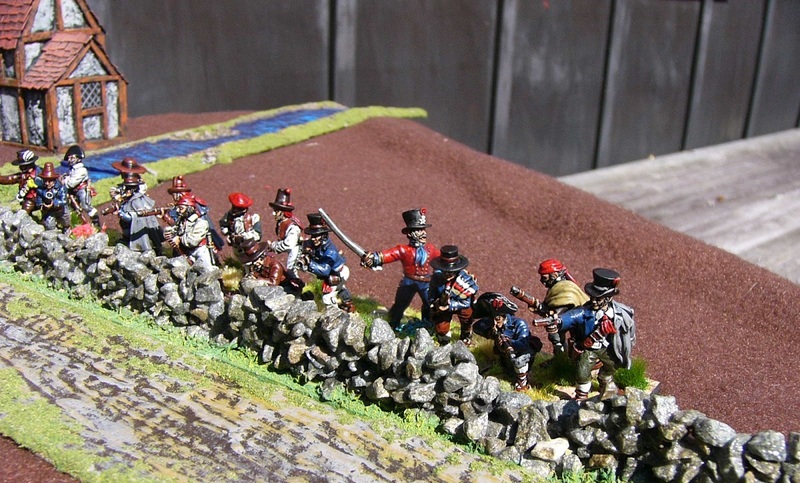 Spanish was my second army, many years ago, in 15mm, and it’s a great pleasure to have this kind of troops…I must say that your paintwork is much better than mine, these guys are really excellent! Thanks for the kind comment. I do think I am painting better now than I was even a year ago. Practice I guess. Very nice paintwork there Brian!